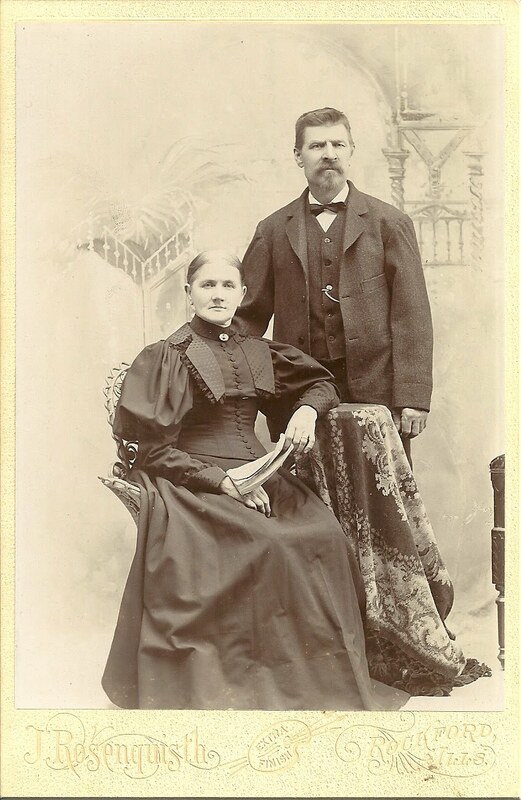 Cabinet photograph taken by Rosenquisth Studio of Rockford, Illinois, of a couple identified only as Mr. and Mrs. Malmberg. Searching online, I did find several possibilities for Mr. and Mrs. Malmberg, just in Rockford, Illinois itself, let alone the nearby towns. If you have any insights into the further identity of this couple, please let me know.